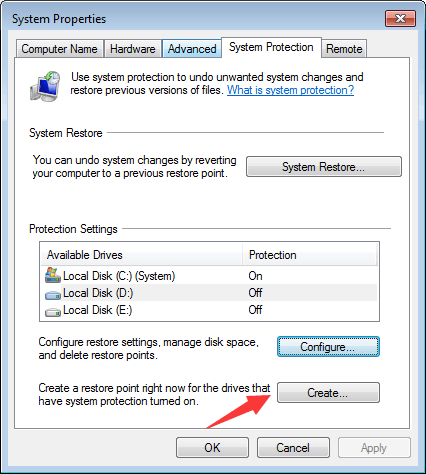 To do a System Restore in Windows 7, you need to create a restore point first. 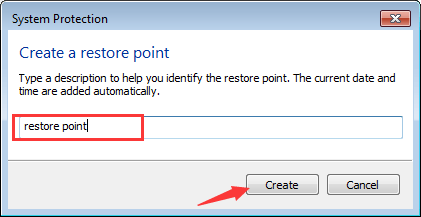 Just follow steps below to create a restore point in Windows 7. 2. View by Small icons and click on System. 3. 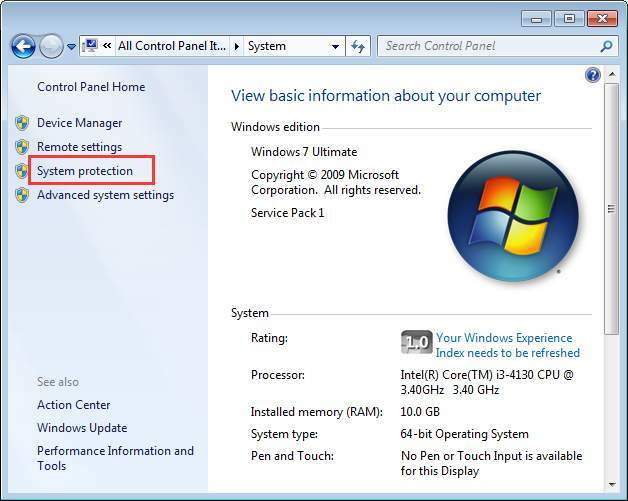 Click System Protection in left pane. 4. 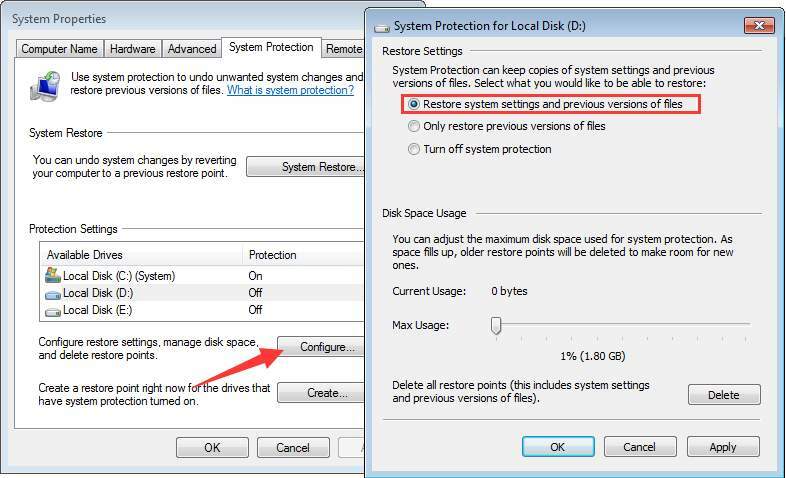 Under Protection Settings, ensure the Protection for the drive that you want to create a restore point is On (Note the drive must have Windows installed on.). 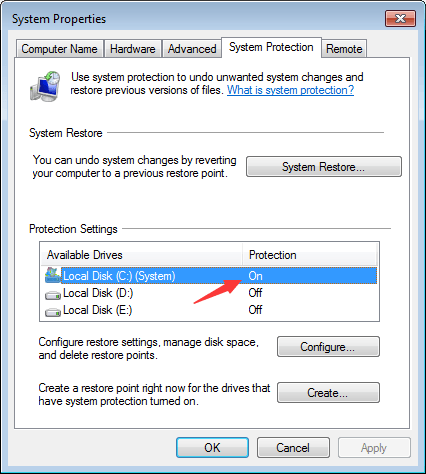 If not, select the drive and click Configure to turn it on. 6. Type a description in the box, which will help you identify the restore point. (In my case, I type “restore point”.) Then click Create button. 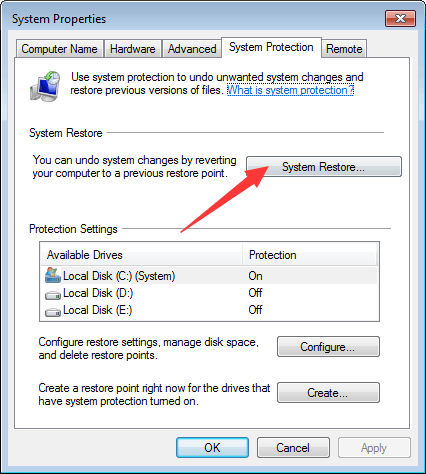 After that, Windows will start to create the restore point. 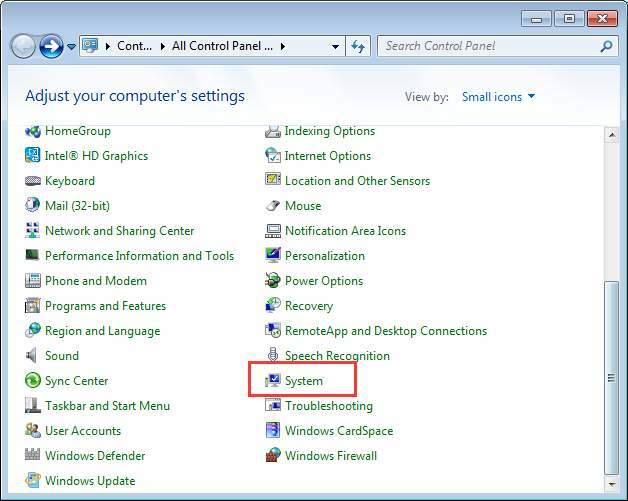 Open System Properties again and click System Restore. 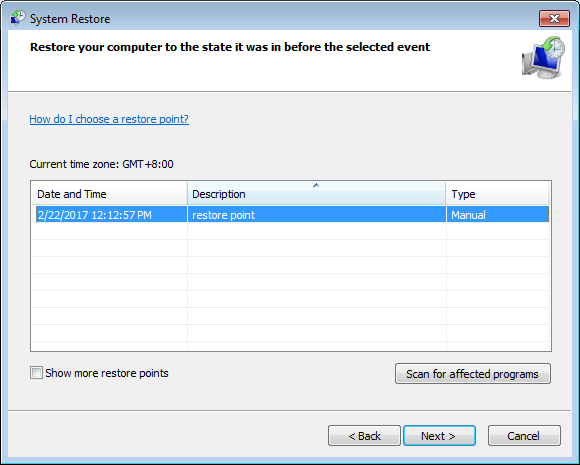 In my case, the “restore point” restore point has been created successfully.